If you've seen HBO's dystopian series Westworld and wondered what it would be like to visit, consider a trip to Elko, Nevada in the heart of Nevada Cowboy Country. 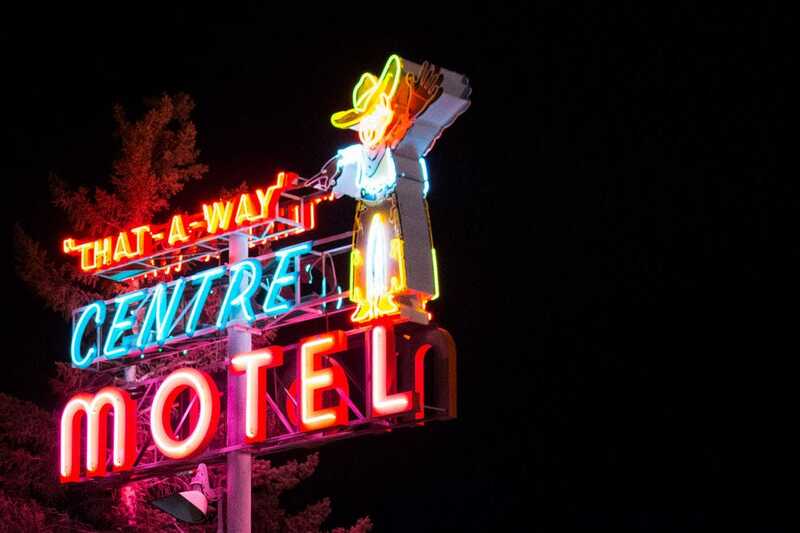 Las Vegas may be the most famous destination for neon lights, but Elko by night shows off its own collection of historic neon signs, like this one advertising a local motel. A tour of century-old Glaser Ranch in Halleck, Nevada offers a glimpse into the life of the modern cowboy, from cattle drives to birthing a calf. A cowhand at Glaser Ranch near Elko, Nevada prepares to demonstrate a cattle roundup to a group of visitors during a tour with local guide Cowboy John. Prostitution is legal in the state of Nevada. This neon sign advertises a brothel in the red light district of Elko. 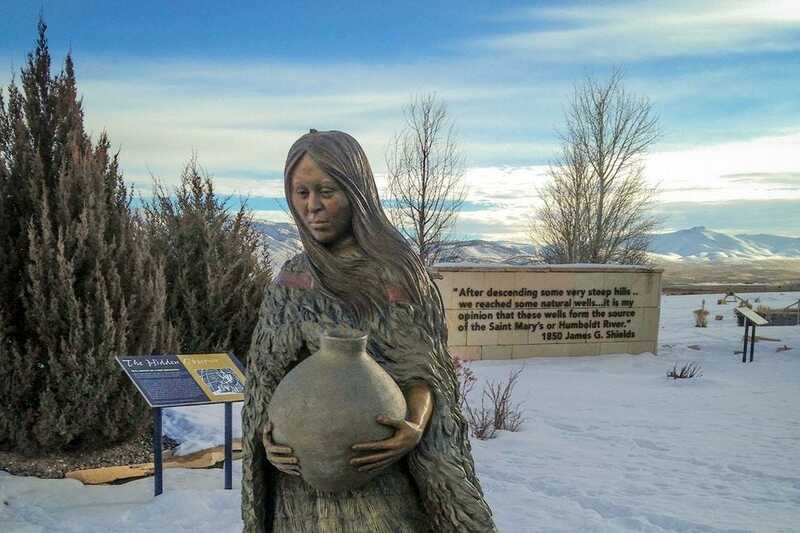 The California Trail Interpretive Center in Elko tells the story of America's pioneers along the California Trail, including the ill-fated Donner Party. The interpretive center includes life-size replicas of the covered wagons used by pioneers as they journeyed west toward California. 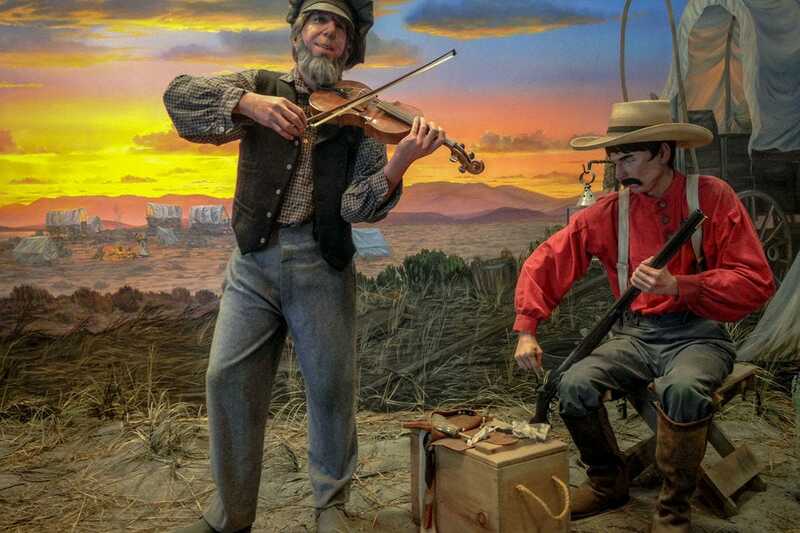 A diorama at the California Trail Interpretive Center depicts a pair of pioneers playing music around a campfire, likely some of the early Western songs that grew in popularity during the mid-19th century. 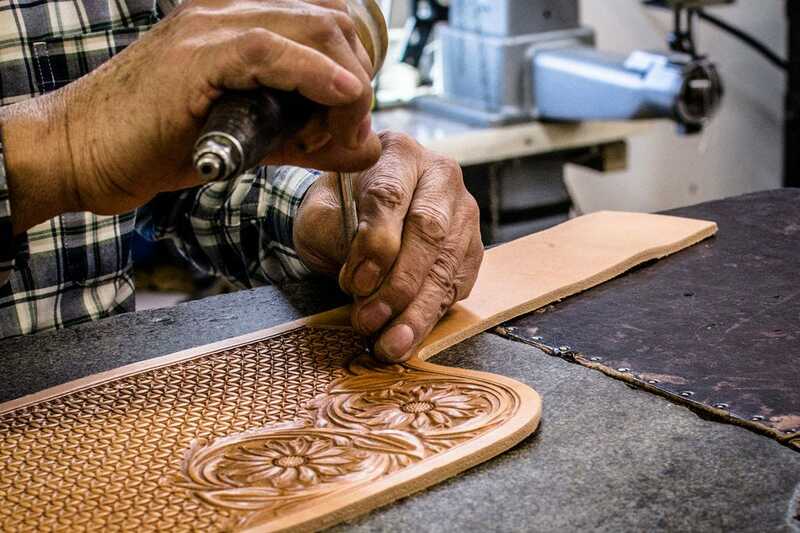 An artisan hand-carves leather for a custom order at J.M. Capriola, a saddle shop and Western Wear outfitter in downtown Elko. 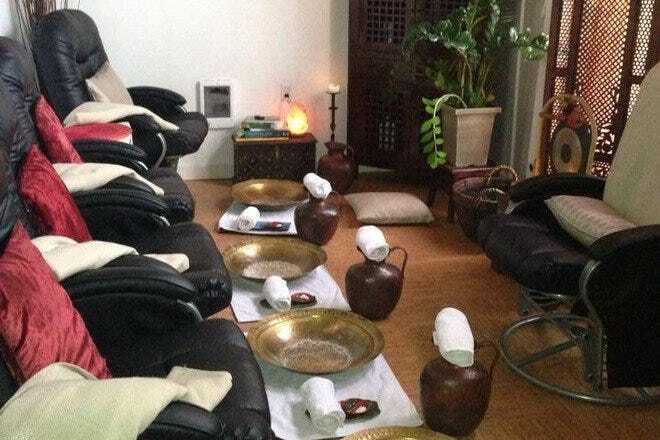 Real cowboys and Western enthusiasts come to J.M. 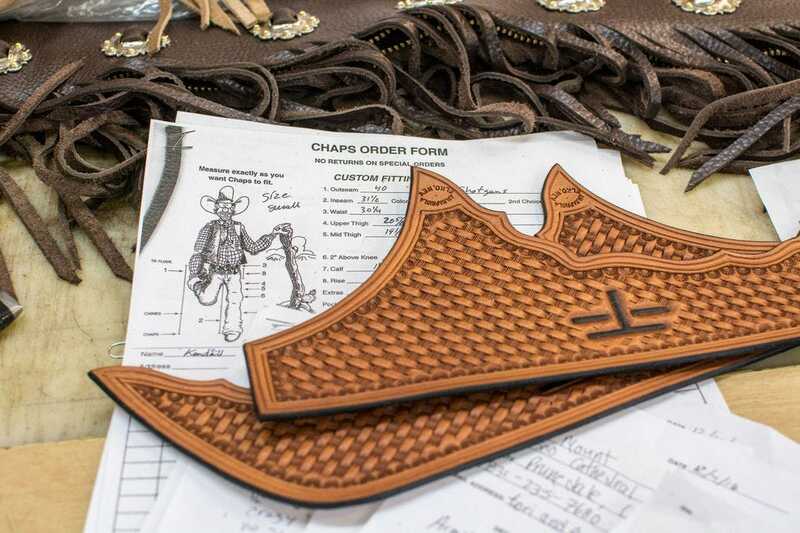 Capriola in Elko for custom-made items – everything from saddles and chaps to cowboy hats and roping gear. No cowboy getup would be complete without a set of silver spurs. 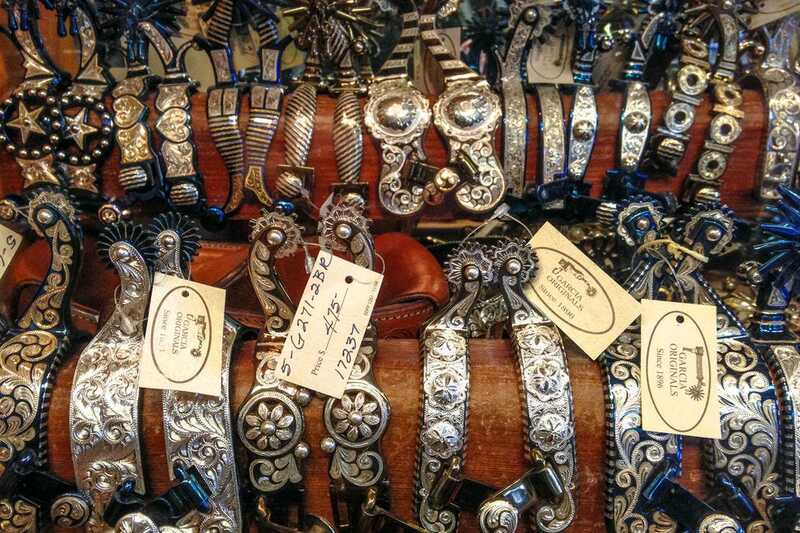 These handcrafted spurs sell for hundreds of dollars. 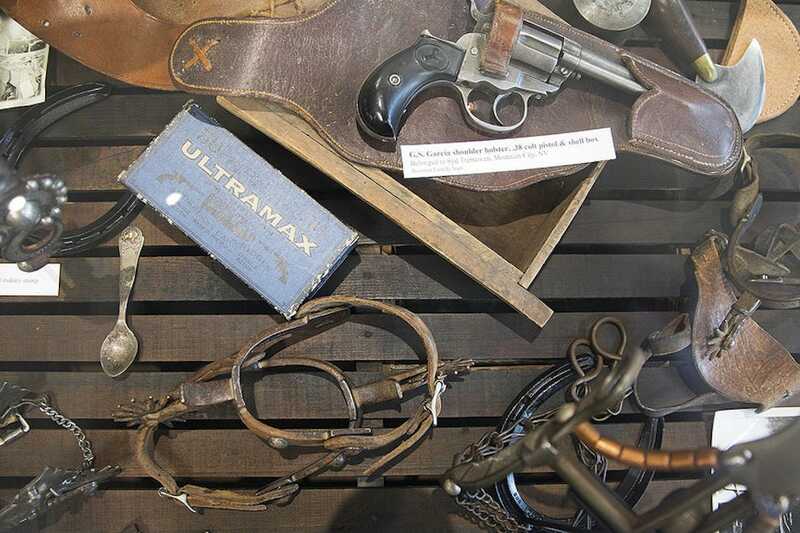 Opened in 2017, the Cowboy Arts & Gear Museum showcases the culture and heritage of the vaquero and the American Buckaroo through its collection of cowboy artifacts. Cattle ranching has a long and storied history in the American West. 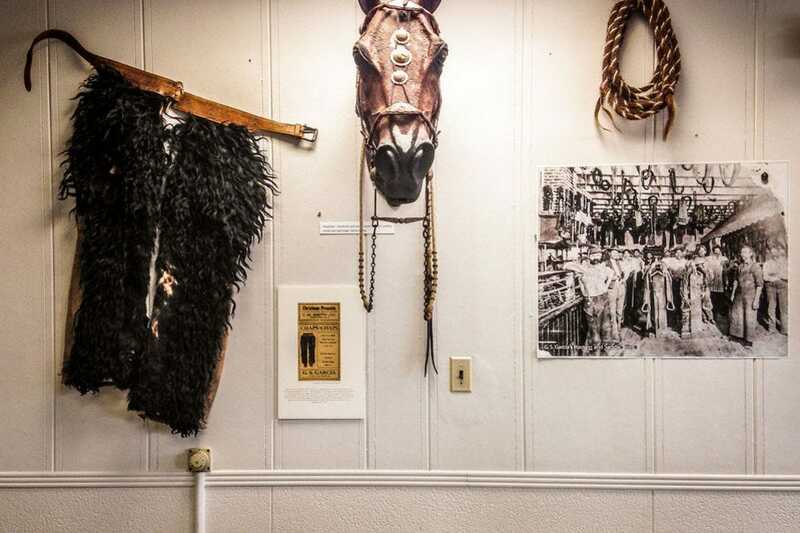 Exhibits on everything from types of barbed wire and spurs, to the history of the rodeo tell these stories at Elko's Cowboy Arts & Gear Museum. 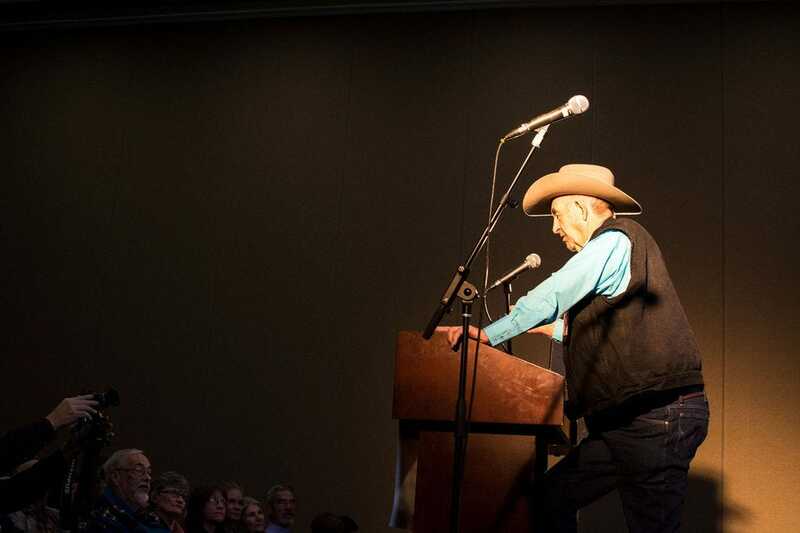 A cowboy poet recites his work during the annual National Cowboy Poetry Gathering in Elko, Nevada. 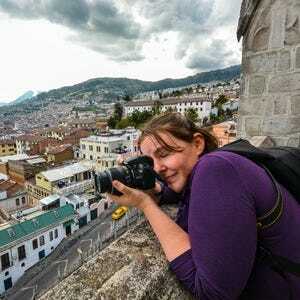 The National Cowboy Poetry Gathering offers more than just poetry. 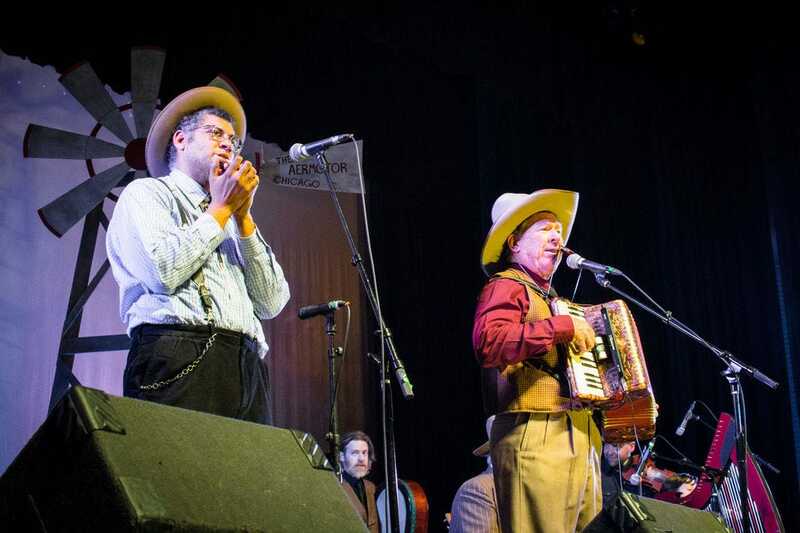 During the 2017 event, folk musician Dom Flemons and Western entertainer Sourdough Slim join forces on the main stage. 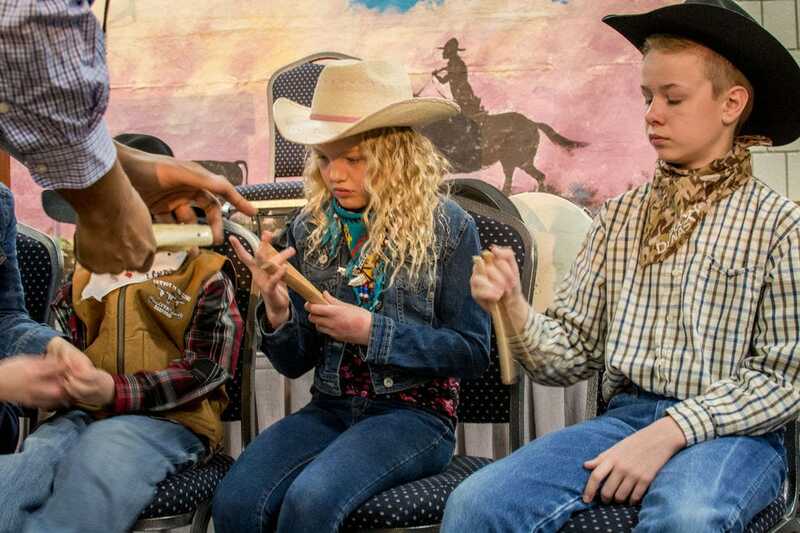 Young cowboys-in-training practice playing the bones during one of many workshops offered during the week-long National Cowboy Poetry Gathering. 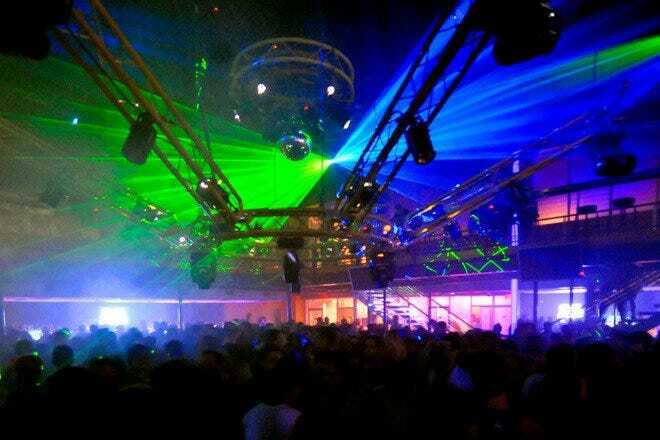 Each Gathering culminates in a Midnight Dance where musicians, poets, audience members and staff let loose before heading home. Sitting in my front row seat at the Elko Convention Center in northern Nevada, I could swear the man onstage is a "host," like he’d stepped right from the fictional town of Sweetwater on my TV screen and into our world. It’s not that he’s robotic. Quite the opposite. It’s that he’s such a cowboy. And it’s not an act. He’s not wearing a costume. It’s just who he is, fiddle in hand, hat perched just so, waxed mustache framing a frown of concentration as his fingers, wrinkled and tanned from a lifetime of sun and hard work, move across the strings. 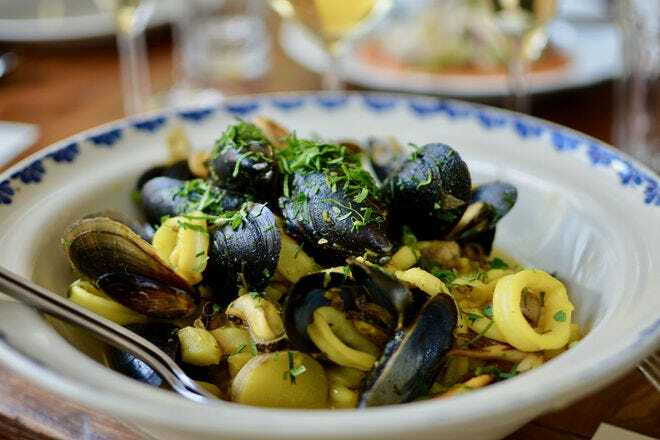 If you think, like I once thought, that the Wild West is dead – something only visible in movies and fictional TV shows – you haven’t been to Elko. Perched at an altitude of 5,000 feet at the base of the snowy Ruby Mountains, this former railroad and mining boomtown has held tight to its history and heritage – a real Westworld in the heart of Nevada’s aptly named Cowboy Country. Just the day before I’d driven from Salt Lake City through the barren salt flats of Western Utah and into Northern Nevada to attend the annual National Cowboy Poetry Gathering. 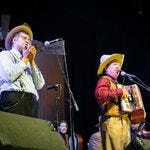 The festival is a celebration of Western folklife and cowboy culture, and a pilgrimage for Western enthusiasts (and more legit cowboys than I thought existed in the 21st century) from across North America and the world. The event dates back to 1985, when a small group of cowboy poets got together to swap stories. After all, being a cowboy can be a lonely existence. 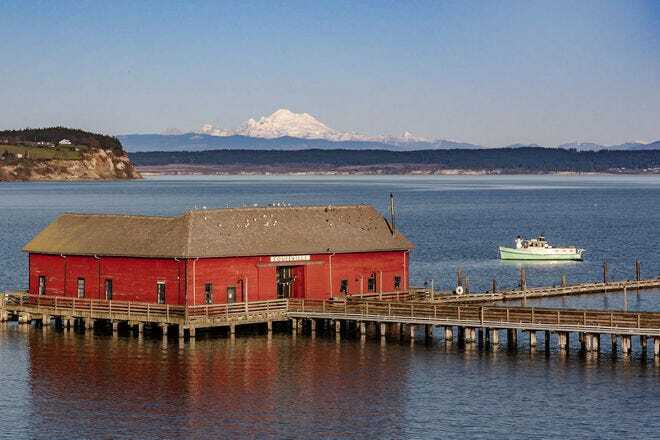 Cowboy poets continue to gather at the weeklong event, now entering its 35th year, but the scope has expanded to include music, dancing, workshops and food, all focused on the rural West. Walking through the festival grounds, I get the sense that most of the regalia I’m seeing, from the polished boots to the beaver felt hats, are functional parts of the wardrobe. Formal, maybe, but not costumes. Taken care of, but not new. 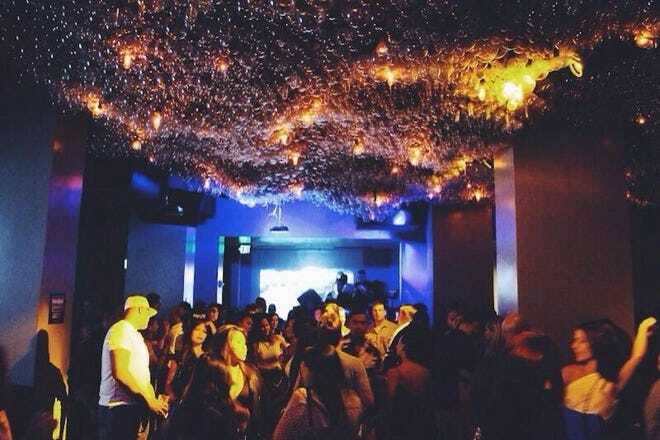 The closest I have in my own closet are a few pairs of blue jeans. Luckily, Elko has city slickers like me covered. As William in Westworld quickly learned, every good cowboy needs a hat. J.M. 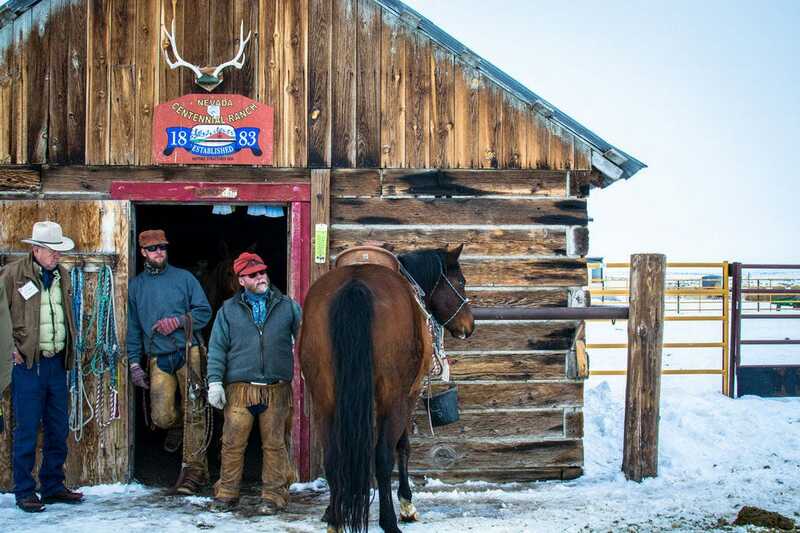 Capriola has been catering to the needs of ranchers, working cowboys and West-obsessed wannabes from their saddle shop on Commercial Street since 1929. Custom-shaped palm leaf hats, carved leather chaps, bits, spurs, saddles, reins and ranch ropes – I could easily drop a couple months’ salary perfecting the look. I’ll stick with my blue jeans. I step outside and look around this slice of the Old West, seemingly stuck in another era, and I feel more and more like I’m in my favorite show. 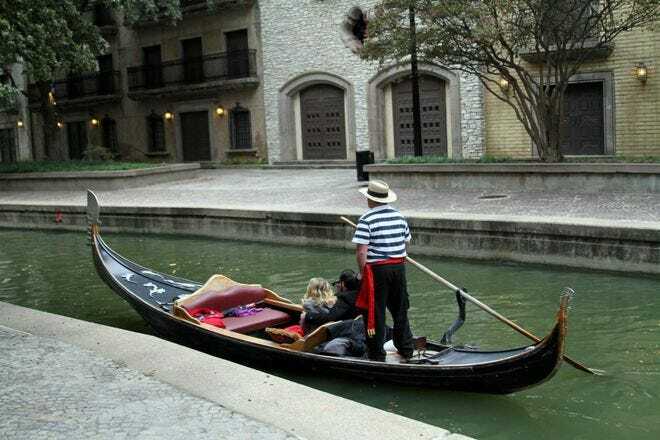 While I didn’t witness any gunfights, I do hear folk music drifting from the doors of Stockmen’s Casino and I see the flashing lights of the town’s very own Mariposa Saloon (a legal brothel called Inez’s Dancing & Diddling). Even the Little Church of the Crossroads in the nearby town of Lamoille eerily resembles the White Church of the fictional Escalante. Life in Elko is much less macabre than HBO’s dystopian theme park, but it hasn’t always been that way. In September of 1846, a group of emigrants from Springfield, Ill. rejoined the California Trail near modern Elko after an attempted shortcut cost them three to four weeks. The wagon train would continue on and get stuck in heavy snow in the Sierras. By springtime, nearly half of the Donner Party had perished, some even famously resorting to cannibalism. 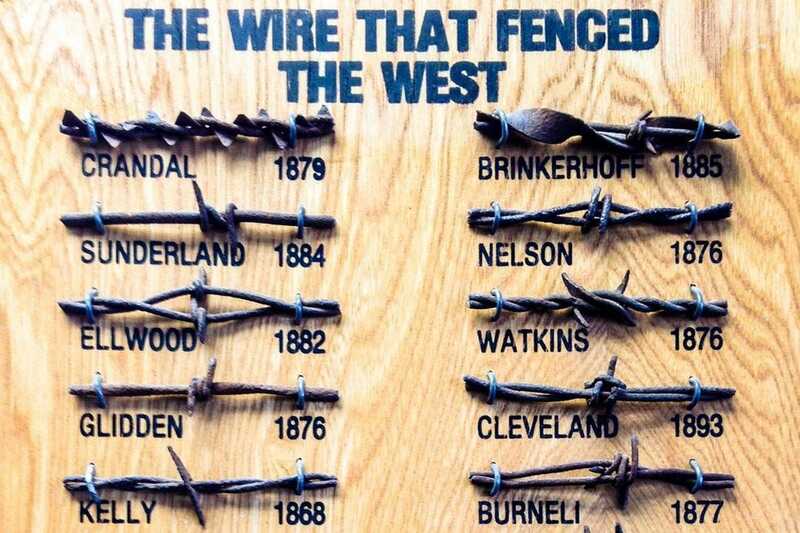 An exhibit at Elko’s California Trail Interpretive Center recounts the dark tale, as well as other stories of the 250,000 people who sold their belongings and embarked on the 2,000-mile journey to California between 1841 and 1869. 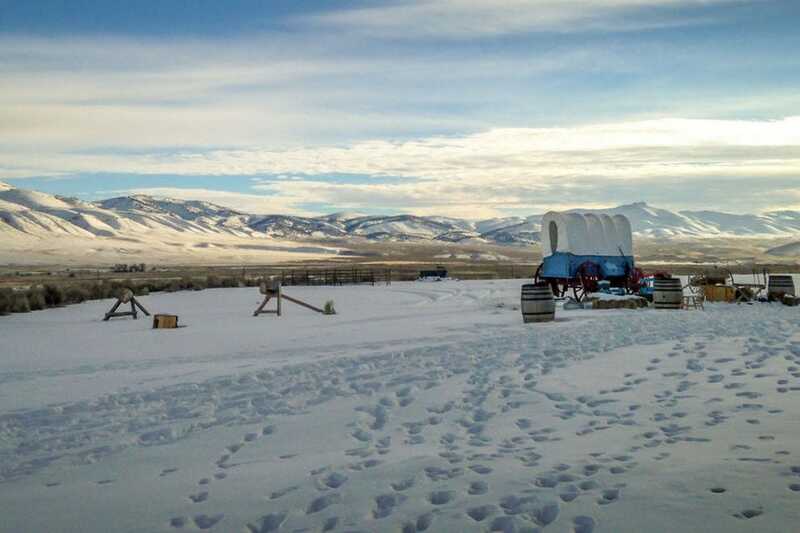 Life-size replicas of historic pioneer wagons sit outside the museum, the pristine snow-covered landscape as a backdrop. My mind easily inserts a pioneer family into the tableau – dad hobbling the horses, mom tending to the cookpot, kids running through the grass. 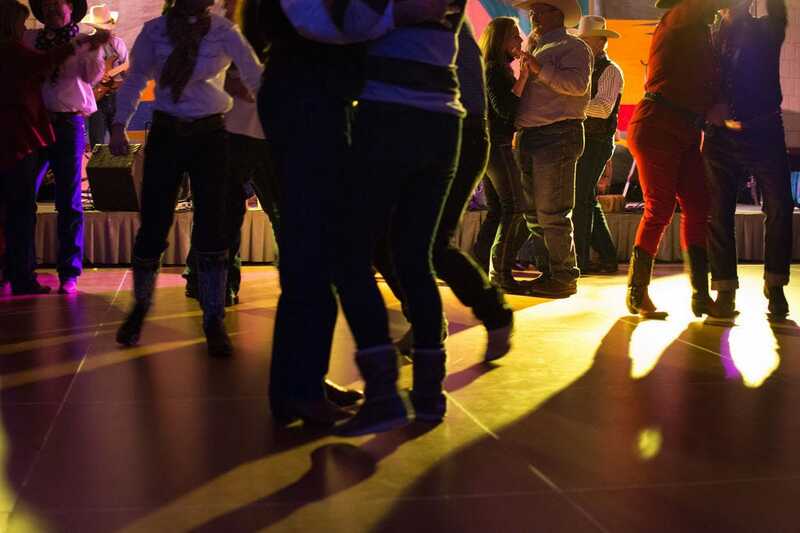 After a day of cowboy poetry, line dancing, storytelling and a lesson in playing the bones, all the camaraderie of the event makes it easy to forget that ranching isn’t all song and dance. To get a glimpse into the day-to-day of a working cowboy, I’d need a guide – my very own Teddy. In this case, I’d need Cowboy John. 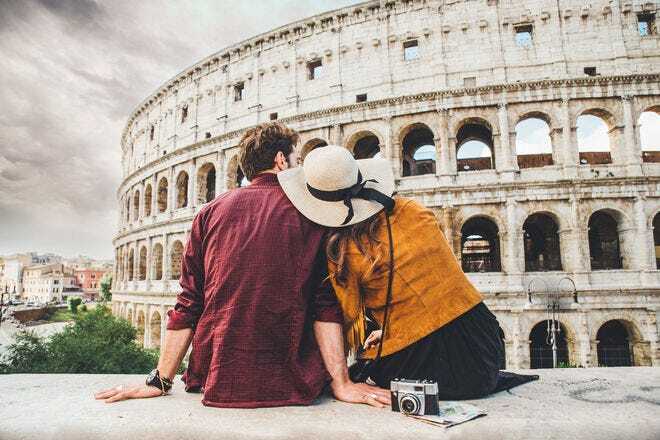 John grew up on a Nevada cattle ranch but eventually moved to the city and became a life insurance agent. 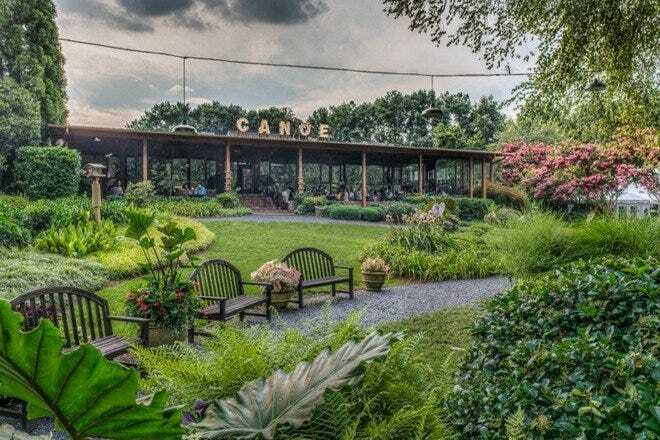 After 35 years in the industry, he decided to ditch the paperwork and long work hours to reconnect with his past. 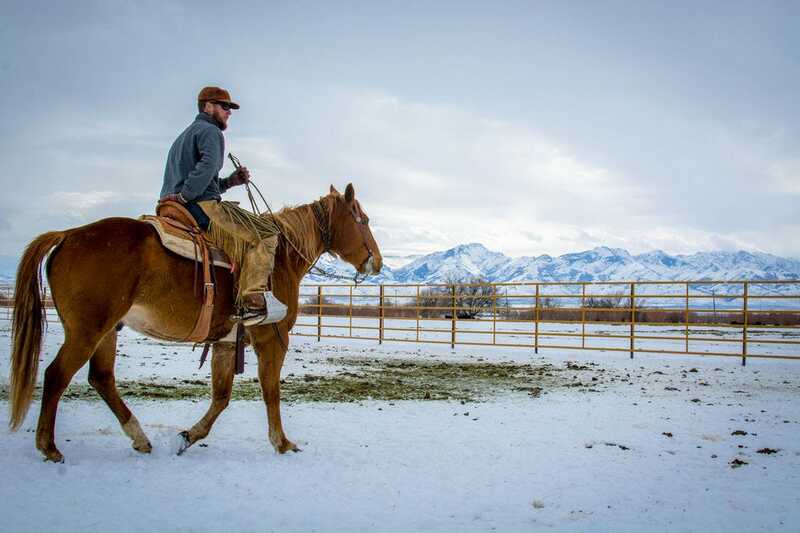 Today, he shares his passion for the lifestyle of the rural American West by offering tours of working ranches in Northern Nevada. The Glaser Ranch in Halleck is a designated Nevada Centennial Ranch – it’s been in operation for more than a century. As I step into the tack shed, walls covered in saddles, bits, bridles and sun-faded ropes of various colors, I joke that the building looks like it could be a hundred years old. Turns out it is. It also turns out that aside from the occasional poet, working cowboys aren’t nearly as talkative as Westworld’s hosts ("When they talk to each other, it’s a way of practicing"), but that’s okay. It gives me time to take it all in as a cowhand lets loose a band of eager dogs to demonstrate a cattle roundup. We tour the calving barn and hear stories of emergency cesareans performed in the field and how birthing a calf often means getting shoulder deep into the mother. Many of the poems, songs and stories spoken into microphones during the course of the National Cowboy Poetry Gathering speak to these hardships – an orphaned calf, lonely nights on long cattle drives, or bidding farewell to a favorite horse who can no longer keep up. 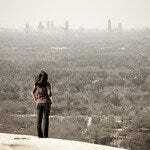 But there’s also a sense of joy, of hope. We’re all here together – cowboys and city folk, democrats and republicans – celebrating the land, human connections and the siren song of the American West that keeps calling me back to Elko, the real Westworld.